The Five Second Rule – Is it really okay to eat food you’ve dropped on the floor? HomeGamma ChatThe Five Second Rule – Is it really okay to eat food you’ve dropped on the floor? Whether you’ve dropped a gummy bear, or a piece of watermelon has slipped through your fingers, it is likely that you’ve been faced with the dilemma of discarding fallen food or picking it up and quickly eating it. The 5 second rule suggests that eating food from the floor is safe, provided it is picked up within 5 seconds. After years of debate, this famous rule of thumb has been put to the test with a new study conducted by Rutgers University in New Brunswick. In the study led by microbiologist Donald Schaffner, researchers contaminated four different surfaces; stainless steel, ceramic tile, wood and carpet with enterobacter aerogenese, bacteria which is known as the ‘cousin’ of salmonella. 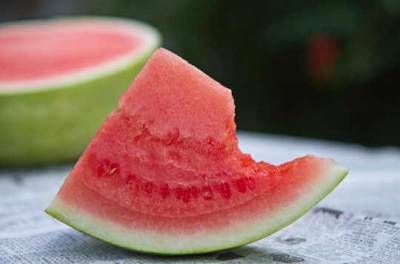 Once the bacteria were cultivated, the researchers dropped gummy candy, watermelon, bread and bread with butter onto each of the surfaces, with four different contact times: 1 second, 5 seconds, 30 seconds and 300 seconds. The team evaluated transfer sequences for each surface, food, contact time, and bacterial preparation, where the 128 scenarios were replicated 20 times each. Unsurprisingly, results found watermelon picked up the most bacteria, while gummy candies picked up the least. “Transfer of bacteria from surfaces to food appears to be affected most by moisture,” Schaffner said. “Bacteria don’t have legs, they move with the moisture, and the wetter the food, the higher the risk of transfer. In terms of surfaces, carpet was found to have the lowest transfer rate compared with tile and stainless steel, where the transfer from wood showed large variation. While the five second rule has some merit in which the research did find that longer contact times did result in more bacterial transfer, in some instances the bacteria transfer occurred in under one second. Even though the time elapsed is important, the study concluded that the nature of the food and the surface are of the ‘equal or greater importance’. If there is anything this study has taught us, it’s don’t drop the watermelon.